Matthew is an Associate with PIB Law and focuses his practice on financial services litigation, complex commercial litigation, securities litigation and professional liability, and corporate transactional matters. 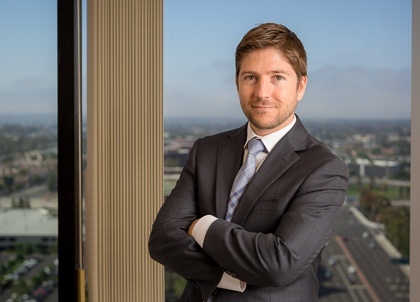 Prior to joining PIB Law, Matthew was a Senior Associate at Horwitz + Armstrong, where his practice focused on federal and state litigation matters, including insurance subrogation, intellectual property, bankruptcy and securities disputes. Matthew has also represented clients in administrative proceedings before the Public Company Accounting Oversight Board, the U.S. Securities and Exchange Commission, and the Trademark Trials and Appeal Board. In addition to his litigation practice, Matthew has also handled a variety of transactional matters for private and publicly traded companies including securities filings, formation, corporate governance, and dissolution.